Jeri Smith-Ready: Zach's Round 2 teasers, Twitter chat with Logan, & on to Round 3! Zach's Round 2 teasers, Twitter chat with Logan, & on to Round 3! Wow! In a very close race with the adorable Etienne St. Clair from Stephanie Perkins' Anna and the French Kiss, Zachary survived Round 2 of the YA Crush Tournament. Team Kilt gets no rest, though, as Round 3 has already started! Voting continues until 8am Central time tomorrow. c) but before that, donate $100 to the Tartan Army Children's Charity, a group of football supporters who raise money to help needy kids in Scotland and in the countries they visit while following the national side. TACC's most famous fundraising event is the annual Kiltwalk, where each spring, people (in kilts or not) complete a marathon-length walk from Glasgow's Hampden Park out to Loch Lomond National Park. The $100 will probably take the form of a 10-pound/month automated donation for six months (roughly $100, depending on the exchange rate). Knowing me, I'll forget to end the automated payment in January, so years from now this win could be worth THOUSANDS. Come and ask them anything. If you don't have Twitter, or you can't make the chat, leave a question (for either or both boys) here in the comments, and I'll ask them for you. A couple of people requested a Logan-related snippet from SHINE, and being a complete pushover, I said sure. So here you go, Logan lovers. We appreciate your support! This scene takes place at the headquarters of the Department of Metaphysical Purity, where Aura is being interrogated, as planned at the end of SHIFT. It's the day after SHIFT has ended. Something terrible has happened, but it's not referenced in this snippet. "Yes, our PA folks are experts at calming the public." Agent Ritter's smile was full of ironic admiration. "When did Logan pass on, Aura?" I looked at Gina, as if for permission, but really to pretend it was killing me to reveal the truth. She nodded and touched my hand soothingly. I bit my lip. "Last night with me, alone in the cemetery near his grave." “What time exactly?” Ritter asked. "And you're certain he’s gone?" I nodded, my throat too tight to speak, feeling and showing the first genuine emotion of this interview. “He’s gone for good,” I whispered. “Hmm.” Ritter leaned over and pulled up a briefcase that had been sitting on the floor next to his chair. “Let’s confirm that, shall we?” He snapped the briefcase’s lock and lifted the lid with a flourish. Before I could ask what he was doing, Ritter pulled out a small disc of clear quartz and set it on the table between us. I was ninety percent sure that Ritter was bluffing. Logan would’ve told me if he was tagged again, the way he’d been before testifying at his family’s wrongful death suit trial. The summoners allowed ghosts to be called to a place they’d never traveled in life—like a courtroom, for instance. Ritter watched my face carefully. He obviously didn’t believe me when I said Logan was gone. Even now, a tiny part of me wondered: if Logan could cross the boundary between shade and ghost—and ghost and human—maybe he could also cross the boundary between realms. “Maybe.” Ritter slid his thumb under the disc and clicked it on. The clear quartz began to glow with a pure white light. Inside, my heart pounded, waiting for Logan to manifest right here in the room, standing beside me with a bewildered grin. Inside, my lungs tightened with tears at the warring fear and hope of seeing him again. Inside, I was a boiling cauldron of emotion. On the outside, I yawned. Before I get to the Ballyrock castle teaser, I wanted to mention, I saw the last Harry Potter movie last night (which was awesome). Cried for the dead and broken-hearted, and cheered for my favorite underdog, Neville Longbottom! And finally, here's your Ballyrock castle teaser. It takes place late at night. The rest is self-explanatory. A violet light seeped through our translucent balcony curtains, casting a glow on the ceiling of the living room area. I sat up in bed, my last trace of exhaustion chased away by excitement. This was the first ghost I’d seen in Ireland, thanks to Zachary’s near-constant presence. Maybe this ghost would know something about Newgrange. Maybe it’d be old enough to remember what happened during the Shine. I slipped out of bed, grabbed my sweater, and hurried to the balcony door, where I parted the curtain in the middle to get a better look. The ghost was a middle-aged man in a classic Irish cap, like the ones worn by the older guys in the pub. His trousers were a bit baggy, as was his tweed coat. He could’ve been from any time, in the distant or recent past. He gave a warm smile and said something I couldn’t understand. His smile turned to a scowl, and he began to rant, throwing up his arms and gesturing wildly. I closed the door, then ran to the bed and almost pounced on Zachary, but held off at the last second. Probably not safe to surprise someone so vigilant. I pressed my mouth to his and gave him a full, deep kiss. “Second thought, not sleeping.” He rolled me atop his body and kissed me hard, one hand full of my hair and the other sneaking up underneath my shirt. I sat cross-legged on the bed, listening to Zachary’s muffled foreign words through the door. At one point, he repeated the same phrase three times, slower with each pass. Either he had run up against a Scottish-Irish language barrier, or he couldn’t believe his ears and had to confirm what the ghost was telling him. Finally the violet glow disappeared. The balcony door opened slowly, and Zachary came inside. “Aye.” He wiped his feet on the woven rug, and I realized he hadn’t put shoes on to go outside. “You must be freezing.” I hurried to the bathroom to get a towel for his feet. He took it from me, a dazed look on his face, then moved almost zombie-like to sit on the sofa. He held up a hand to silence my babbling. “Aura, that wasn’t just any ghost." Hope to see you tonight at the chat. If not, leave your questions for Logan and Zachary here in the comments. And don't forget to vote for Zachary--think of the weans! O_O...way to keep me on edge...as if I wasn't already dying to read that book! Woah! *How* much longer do we have to wait for the book? These teasers are too much, Jeri! What a way to start the day! You're really good at teasers, you know it? lol. . . can't wait, can't wait! And Matthew Lewis! Ok, first of all, your generosity is overwhelming. The Tartan Army Children's Charity sounds like a great organization. I'm certainly hoping those weans are recipients of your donation. Now. That teaser? *fans self* Lovely. Very, very lovely. You have, once again, proven why these tidbits are called teasers. Ahh! So good! Need more, says the addict in me. Ahh, what a killer way to end the teasers! Well, they definitely lived up to their name, that's for sure. I already voted, but I will tweet about it as well. And congratulations to you know who for his win. 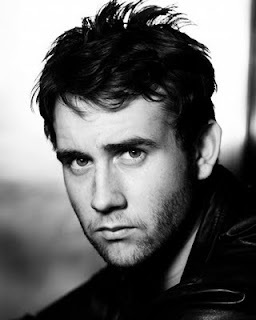 First off.... Matthew Lewis as Zachary about made my brain explode. I've sort of been obsessed with him as of late. And that teaser was so awesome!!! I want to know who the ghost was!!!! Also, it has now become my life's mission to get an ARC of Shine. I might die otherwise. Speaking of ARC's... any chance there will be some at ALA in January in Dallas? Because the YA Sisterhood will be there, you can bet! OMZ!!!! Great teasers! This book needs out NOW! And can I just add... Matthew Lewis as Zachary. Perfection. Thanks, everyone, and thank you for voting in Round 3. Incredibly, Zachary WON and is on his way to the Final Four!! I've also posted the transcript for the #SHADEboys chat. Enjoy! Mmm, no. My publisher tells me they don't print ARCs for third books in a series. I imagine they will put it out on GalleyGrab around the end of March or early April. But I'll be printing my own ARCs, probably in December, a very limited run of 20, because they're extremely expensive to make (20 could cost upwards of $500). Of the 20, 8 are already spoken for by SHIFT blog tour winners. 3 now belong to Fictitious Delicious, Zach's advocates, because I told them they'd get one for every round of the tournament Zachary won. I just finished Shift recently and have totally pictured Matthew Lewis as Zach the whole time I read both books, even though he's not quite Scottish!